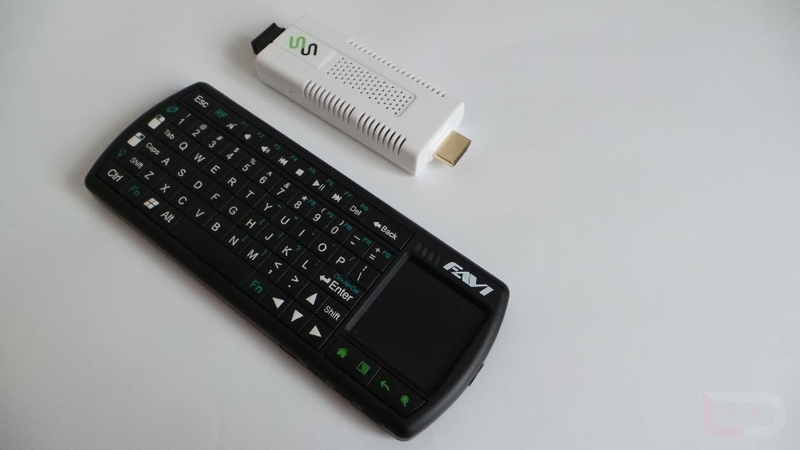 I was recently sent over a SmartStick from FAVI Entertainment, an interesting device which brings a full blown Android experience to a TV or monitor with an HDMI port. It is powered by an A9 1GHz chip, 1GB of RAM, and comes in two size options; 4GB and 8GB. What makes the SmartStick somewhat desirable is the reasonable price tag of $50 for the 4GB option. On top of that, there is a wireless keyboard that can also be paired for an additional $40, bringing a total working unit with full controls to $90. It runs a slightly modified version of Ice Cream Sandwich, but has full Google Play access, allowing users to install any app they would want right to the SmartStick. For example, if you want Netflix or Hulu on your TV, then this is a way to do it, along with the ability to bring games and other apps. On top of that, there is a full web browser, file manager, and task manager built right into the system. The unit itself is somewhat speedy and the hardware is very durable, made of thick plastic, making it a great stocking stuffer type gift for any Android fan. It’s super easy to set up and there’s no type of subscription service needed. You just plug it in, hook it up to WiFi, and you’re off. If you’re interested, you can pick one up through Amazon or learn more about them here. View my hands-on video and gallery down below.